Now 10% off - hurry, offer ends tomorrow! Easy to operate slam latches lock each panel into place. Unlock with the pull cable. Install the Gator FX3 Cover in less than an hour with the included drill free clamps. Specially designed hinges allow the cover to fold all the way up to the cab for full bed access. Weather resistant and extremely durable seals made of EPDM keep your bed dry. Drive down the street with the cover safely propped to the cab. Fiberglass Reinforced Polymer is very impact resistant, stays cooler in the heat than aluminum. The Gator FX3 features the perfect blend of two materials: Fiberglass reinforced polymer top panels and aluminum sub-panels. The aluminum provides structure and rigidity while the fiberglass reinforced polymer protects against scratches and dents, while staying UV resistant. The Gator FX3 utilizes EPDM rubber seals that overlap the bed caps for a great seal. While EPDM seals and hinges along the panels help it resist all types of weather. One of the best features the FX3 offers is the ability for you to gain full bed access. You simply use the pull cable from either side of the bed to disengage the slam latches, and fold the cover, panel by panel, to the front of the bed. The cover can be secured with 2/3 bed access using buckle straps, and driven down the highway. Or you can lean it against the cab and secure it with the prop rods that are mounted to the rails. 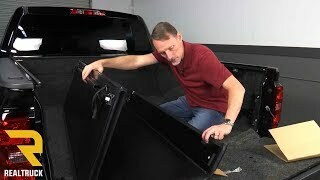 The rubber bumpers will keep the cab of the truck protected when the cover is opened fully. 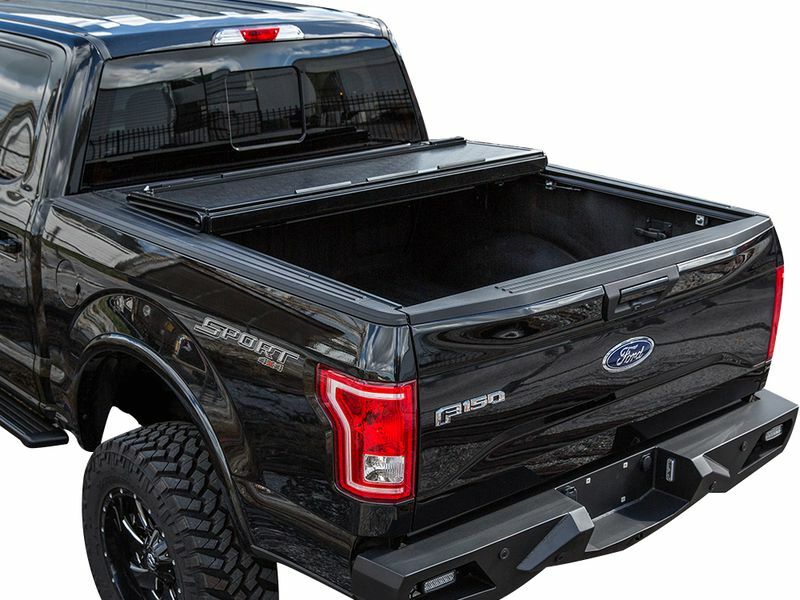 The truck can safely be driven with the cover in this position at highway speeds. The Gator FX3 installs easily with no drilling, on most vehicles, thanks to the clamp-on design. You only need basic tools like a socket wrench to complete the installation on most vehicles. Gator warrants this cover against any manufacturing defects for a period of 2 years. The cover also is made in the USA so you can rest easy knowing the quality is second to none. 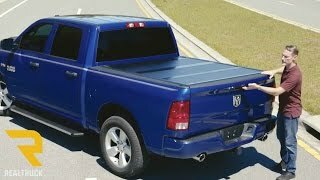 It's very easy to install a FX3 truck bed cover. The rails clamp into place using a wrench on most vehicles. The cover bolts down at the front of the cab with turn-knob style bolts. That's all there is to it. Total installation time usually takes around 20-30 minutes. You can always give us a call if you have any questions or if you would like more information.